Bob Bousquet is a local, self-taught woodworker who learned his trade by trial and error, creating a lot of firewood along the way. Working with wood has been a passion of Bob’s for the majority of his life, tracing back to grade school. 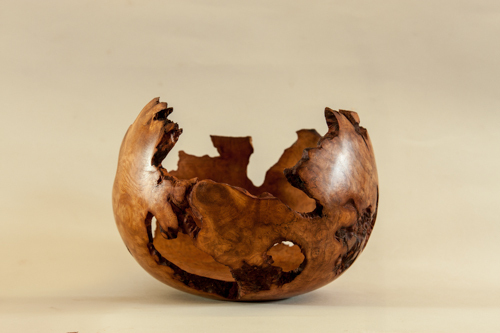 His objective with wood is to build pieces that are practical, pleasing to touch, and beautiful to look at. Bob's pieces are timeless; his simple, clean lines highlight the natural beauty of the wood he uses. Bob creates with the hope and intention that what he creates can be enjoyed and appreciated for generations . Bob’s woodwork ranges in scope and size from jewelry boxes, to tables, to custom designs, but his remarkable craftsmanship threads through every piece, making even the most functional pieces true works of art.